4 testers wanted! 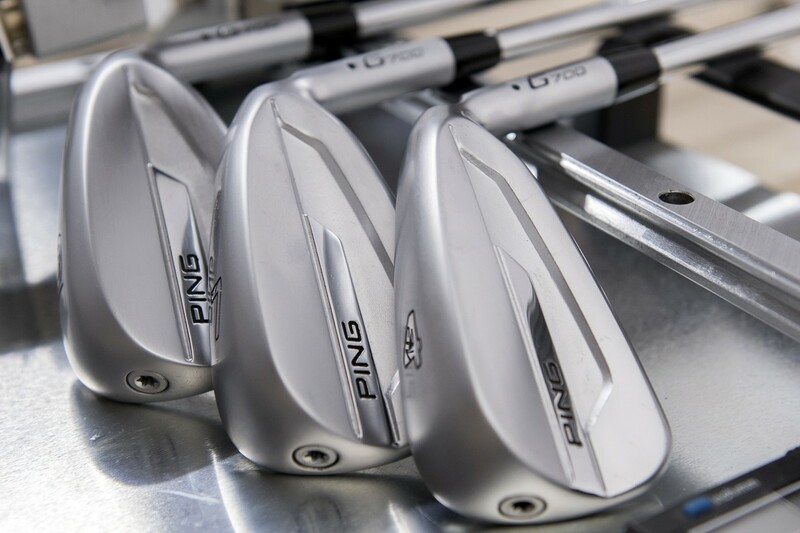 @PingTour G700m irons - is it a big iron done right? It’s a big iron done right. That’s how our own Tony Covey described the new PING G700 irons when they launched last January. It’s a big, hollow-bodied, forgiving iron that does its best to look like the i200’s slightly older, slightly bigger brother, with enough extra oomph to make you rethink that whole I-don’t-need-distance-irons mantra. Our description from last January still applies: distance without compromise. PING touts the G700’s as a game improvement iron, but the forgiveness and extra distance is combined with playability and tighter dispersion, and it’s all packed into a slimmer, more appealing shape. Forgiveness, distance, playability, and dispersion in combination are the Holy Grail for irons, and pulling that off in one iron set would be a game-winning, bases loaded home run. MyGolfSpy is looking for four avid golfers from anywhere on the Planet Earth to test and review (and keep) a set of PING G700 irons and see if PING really has hit the Walk-Off Grand Slam of irons. Yes, anywhere on the planet! Please read this part carefully, as this is going to be a popular test opportunity and we want to make sure everyone who is interested in applying signs up in the right place. As you know, MyGolfSpy takes its product testing very seriously. All of our member reviews are published in our Community Forum (click here to check them out). We expect a lot from our reviewers – writing a thorough, detailed and honest review is a two-month commitment, requiring extensive on-course evaluation. as well as participation in the Forum itself to answer questions and discuss product performance with other golfers. That means to be a potential reviewer you must be a registered member of the MyGolfSpy Community Forum, where you’ll find tens of thousands of like-minded golfers from all over the world anxious to talk about golf equipment. – First, sign up for the MyGolfSpy Community Forum (click here to register). 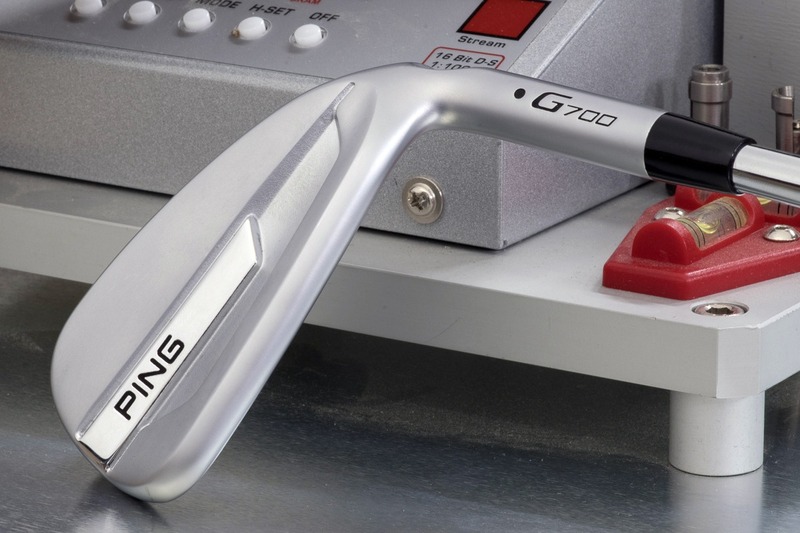 – Second, apply ONLY in the Official PING G700 Irons Testers Wanted thread in the MyGolfSpy Forum (click here). We’ll be announcing the testers in that Forum thread next week, so make sure to check in to see if you’ve been chosen. Come on people…READ THE FRICKIN instructions…NOWHERE does it say apply in the comments. I can only imagine how good..these reviews would be, if they can’t follow instructions….NOT!! I would love to try these babies out! I live in Myrtle and Golf all the time with a lot of different groups. Currently I am hitting the Ping i e1 and love Ping clubs. I recently got the Glide 2.0 stealth in 60 and 56 and wow are they incredible!! Please pleat pick me go test the g700 irons bursting to evaluate them! I play Ping G25 Irons today, am 65 years young this month. Would love to try these new irons. Would love to try the G700 , l currently play Cobra 2300’s . l hit my 7- iron about 155 yds and play to a 13 handicap and 69 yrs young . Currently, I’m using Fourteen TC888 (3-Pw) Nippon Modus 120 stiff. My 7 iron goes 160. Handicap 15. I love to use G700 with graphite stiff shaft. 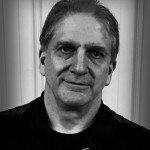 Bob; Texas; currently play Pin “G’s” regular steel shaft. 7 iron distance 145 yds. Play to 12 hdcp, 75 years old. Haven’t played Ping irons since the Ping Eye 2s! Would love to try the 700s. I currently game P790s with Project X 6.0s and hit my 7 iron 165. 73 yrs old, in need of new senior irons as old irons are worn out. Face grooves are worn. I have seen Ping irons in Golf Galaxy and am interested. Would love to test these Ping irons on my course. I have the PING i200’s and would love to try the G700’s for some extra distance without losing the accuracy! 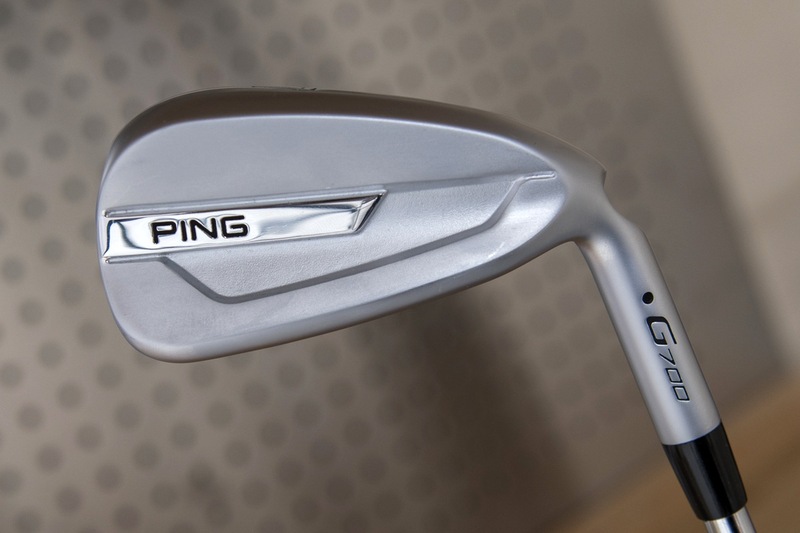 I would love to test out these new ping irons as my current set – Mizuno jpx800 – are worn out! I am a 16 marker (retired) in Dubbo NSW, Australia. I have played from a handicap from 6 – 18. I currently play Ping GMax, CFS70, regular shafts. Love to have a hit of the new ones….will bring a ‘down under feel’ to the testing….. I am retiring soon to play more golf and would love to play these irons. I am a 13 handicap and hit my 7 iron about 170. Currently play Ping I25 and taylormade irons. I have titleist ap2s and i hit a PW 140-150. If these are longer, i would probably need 5 wedges to get me gapped out. I just so happen to have a bunch of wedges to do just that. Never had ping irons but always wanted to try them. It would be interesting to see what these would do with a high swing speed. I started playing 6 yrs ago with hand me downs G10s. I’ve never really tried any other brands. I love how forgiving they are. I’m a 20+ handicap and would love to see if newer technology really does make a difference. Great looking irons, at 70 I am always looking for extra distance without giving up accuracy, these irons are definitely on my radar. Thank you to Ping and MGS for this great chance to test what seems to be a great iron for many of us. Good luck to all who enter their name for the testing opportunity! love to do a review. Wow! These look pretty amazing regardless if they’re oversized game improvement irons. Never played hollowed body clubs before and the technology that goes into these type of irons are very intriguing. I have played a Ping i25 driver for well over 4 years now that I totaly love. I have always been a Taylor Made iron guy. I was fitted 2 years ago with my current set of M2 irons that im pretty happy with. I would love the opportunity to compare the Ping 700 with my Taylor Made irons. I’m a senior with an 18 handicap. I typically play 4-5/week. I currently play Titleist 716 AP1 5-P,GW,AW(52*) with A shafts. Since I’ve been seriously looking at the G400 SFT driver, I’m clearly also very intetested in testing the G700 irons. I have played many different clubs over 50 years, but never Pings. I maybe missing something good. I would be willing to try them and give you feedback. Thanks for being a MyGolfSpy reader! I want to take this chance to explain our process. We take our Community Forum Review opportunities like this one very seriously – our Forim members have come to expect thoughtful, detailed and honest equipment reviews from their peers. As all of our Community Forum Reviews are published in the Forum itself, being a registered member of the Forum is essential. The process for registering is quite simple – but it does have to be followed. With over 65,000 current active members, our forum has developed quite an active and energetic community, and our members have a great time talking golf and golf equipment with each other in a friendly, open and respectful environment. Applying in the appropriate thread is also important, as a good reviewer will have to navigate the forum in order to post his review, along with pictures and to interact with community members who will have questions. So the process is the process for a reason – to ensure that our community members have access to a long line of thoughtful, honest reviews from golfers just like themselves. As of right now, we have over 1,000 applicants for the G700 iron opportunity in a little over a day, so I guess that speaks for itself. Thanks again for being an MGS reader, and I sincerely hope we’ll see you in the MGS Community Forum! I play the ping iblade right now. I am looking to either upgrade or try another brand,so this would be perfect chance for me to try the g700. Also to see if I want to continue using ping. 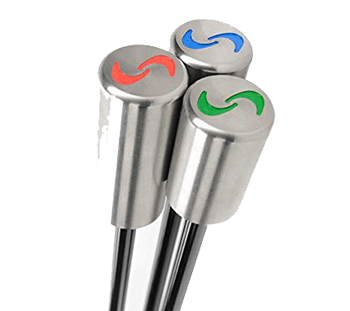 I have been playing Ping clubs for quite some time now they just seem to fit me better than any others I have owned would love to try these new 700 clubs. It would be a honor to test these. I Play the Ping Karsten irons now with a Ping G Driver. I have been a Ping irons guy since the 80s. and they just get better with every new model introduced.This is my year to purchase new clubs and this would be a great way to get it done. I now play the ping G30 iron am a 14 handicap. I would love to test the new ping 700’s. I play 2-3 rounds a week at several different courses with an hour of my location. I have a titlest 915 driver, G25 4 wood, a exotic 3 wood. My irons are5-9 and 4 wedges. Have a great day and hitter straight! I have 2010 forged ping irons blue dot. I would love to test news ping irons. I am playing the Ping Anser irons and driver and would love to try the G700’s and G400 Max driver. I’ve played Ping for 35 years and can’t say enough about them!! Have the TM P790 would love to see how these compare! I won matchplay and had to spend my pro shop credit on something . . . . Bought ping 700’s this spring, took 2 weeks to get used to them. Love them, long and HIGH! Added a Calloway 64 deg wedge (65 yds max) Have 5 wedges bent to 10 -12 yds apart), 9 -6i, recoil F3 shafts, Ping 5,7,3 wood and 400 max driver. Don i also play the GMax which I love and I demo’d the G700’s a few months back. For me, the solid strikes were the same as GMax, however the misses were worse. Also, I really liked the feel of the GMax better as well both on solid strikes and misses. These are some good looking clubs, neat, well shaped with some decent bottom perimeter weighting and what I would call a slide sole (a little wider than usual)……… I like big time. Whoever gets to test and keep these bad boys is going to be all smiles every time he or she walks out onto the course……… break a leg everyone – Go to the thread to apply!!! I will soon be 56 in August, I’m a 9 handicapped and I have never been able to test clubs. I have G30 pings irons and would like to test play irons, it would be awesome.